While Russia suspended the plutonium reprocessing deal, it stressed that the Russian fissile material, which was subject to it, would not be used for any military purpose, be it production of new weapons or research. The suspension decree has come into force, but it needs to be approved by the Russian parliament, which may overrule the president’s decision. Leonid Slutsky, who’s slated to be appointed head of the Foreign Relations Committee in the newly-elected parliament, said it would be given a priority. “It’s a very important issue. It’s about taking swift action to protect Russian national security. We will deal with it as soon as the bill is submitted,” he told TASS. A bill submitted by the president’s office to the parliament on Monday states that the uranium agreement may be resumed, provided the US takes steps to eliminate the causes of the suspension. In particular, Moscow wants Washington to curb its military presence on the territories of NATO members which have joined the alliance after September 1, 2000, to the number at which they were at the moment of signing the agreement, Russian media report. The draft bill also mentions repeal of the so-called Magnitsky law and of sanctions against Russian regions, persons and companies introduced by the US over Ukrainian crisis, while also paying compensation for damages caused by them, including the damages caused by the counter-sanctions that Russia was forced to impose. The Magnitsky Act is a 2012 US law intended to punish a number of Russian citizens believed to be linked to the death in custody of Russian lawyer Sergey Magnitsky. Moscow also wants Washington to provide a clear plan how it is going to irreversibly reprocess plutonium under the agreement’s conditions. Russian Foreign Minister Sergey Lavrov later said in a statement that Russia’s suspension of the agreement is “a forced measure.” According to the minister, Moscow has always viewed the Russia-US deal on plutonium disposal as an important step to nuclear disarmament. “Trying to talk with Russia using strength, the language of sanctions and ultimatums, and still maintain selective cooperation with our country only in those areas where it is beneficial for the US, won’t work,” he added. The development was not entirely surprising, since Russia earlier expressed its dissatisfaction with how the US wants to handle plutonium reprocessing. 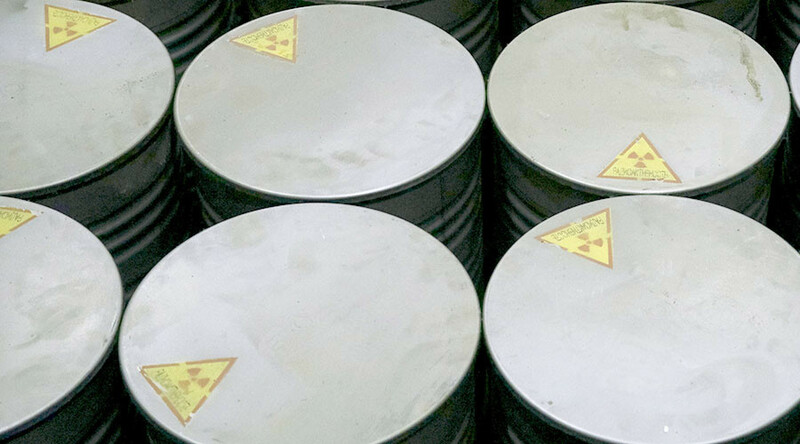 Washington decided it would be cheaper to mix nuclear materials with special diluents. Russia insisted that the US was violating the terms of the deal, which required it to use a nuclear reactor to transmute plutonium. Unlike the mixing technology, the latter method makes the process irreversible. 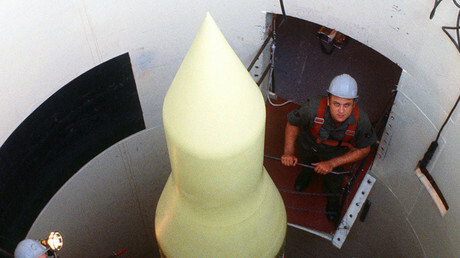 The treaty between the US and Russia, which regulates how the two countries are to dispose of plutonium from nuclear warheads decommissioned as part of the parallel reduction of the two countries’ Cold War arsenals, was signed in 2000. Each country was required to dispose of over 34 tons of fissile material by turning it into so-called MOX fuel and burning it in nuclear reactors. However, costs for building a facility at the Savannah River Site in South Carolina, where the US was supposed to fabricate MOX fuel from its plutonium, spiraled out of control. Under the Obama administration, the US decided that it would instead use the cheaper reversible process, arguing that it was in line with the spirit of the deal with Russia. Russia expressed its concerns over the unilateral move in April, shortly after a nuclear security summit held in the US. The US rejected the criticism from Russia. The “new US method would not require renegotiation of the agreement,” US State Department spokesperson Jennifer Bavisotto said.